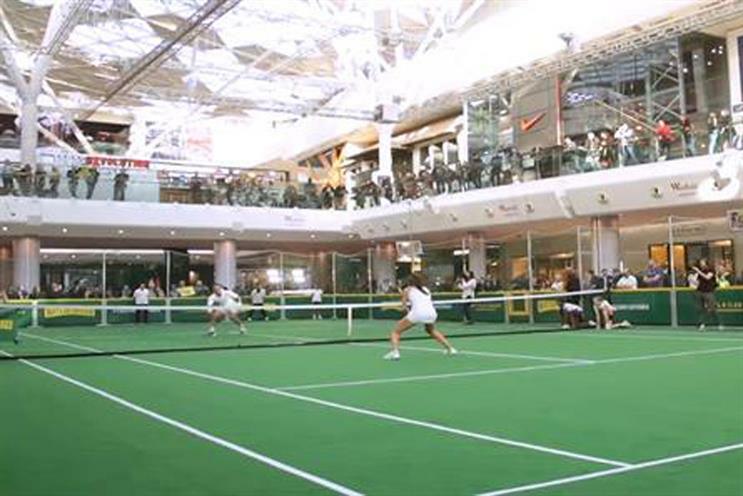 General Mills granola bar brand Nature Valley staged a tennis match at Westfield London, pitting British tennis number one Johanna Konta against former Wimbledon champion Pat Cash. The activity, which took place last Friday (17 November), is part of Nature Valley’s wider campaign "The Court is Yours" – aimed at getting more people back into playing tennis. The match also celebrates the brand's partnership with the forthcoming movie Battle of the Sexes, which recounts the 1973 tennis match between women’s world number one Billie Jean King and former men's Wimbledon champion Bobby Riggs. The event aimed to showcase how tennis can be played in a number of unexpected locations and was created and managed by creative agency Space. Arjoon Bose, marketing head UK and northern Europe at Nature Valley, said that as the official snack bar of British tennis, the brand wants to encourage more people to get outdoors and celebrate tennis as a sport.